Dubai, United Arab Emirates – 08 March, 2018 – Samsung Gulf Electronics Co. introduced to the UAE the Samsung Galaxy S9 and S9+, the smartphones that reimagine the way people communicate, share and experience the world. The launch event took place yesterday at The Sofitel Dubai The Palm Resort & Spa. 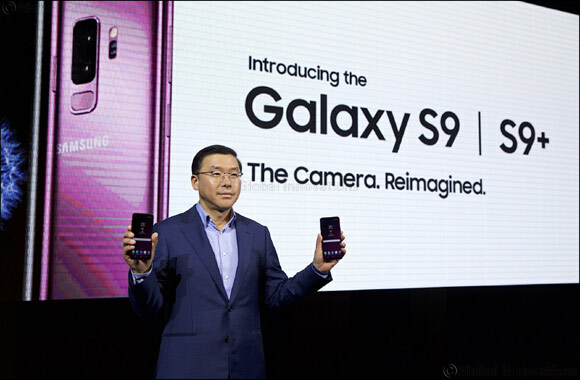 Made for an age in which consumers increasingly communicate and express themselves more with images, videos and emojis, the Galaxy S9 and S9+ drive innovation with Samsung’s advanced camera. Redesigned with a new Dual Aperture lens that powers an innovative low light camera, Super Slow-mo video capabilities and personalized AR Emoji, the Galaxy S9 and S9+ ensure users do not miss a moment and make their everyday epic. Users in the UAE and who purchase the Samsung Galaxy S9 and S9+ will be able to enjoy many exclusive offers and benefits, all of which are available through the Samsung Members app. Users will be able to save 20% off the best available rates at 170 participating Marriott International Hotels across the Middle East & Africa, in addition to 20% off at 370 restaurants and 70 spas. Apparel Group also has come on board as a fashion partner of Samsung S9 and S9+ thus including offers from their 28 international brands, across fashion, lifestyle and food & beverage sectors including Levis, Juicy Couture, Aldo, Nautica, New Balance and more. Furthermore, the Galaxy ENTERTAINER is also available via Samsung Members. The service includes over 2,00015 buy 1 get 1 free offers that provide unparalleled access to global hotspots including restaurants, caf�s, premium spas, leisure attractions, golf clubs and much more.